Working with the dental lab brings up a a long list of common questions. In this post, we outline a few that come up time and again. Negotiating the complex requirements for lab cases can be a confusing process. Use these three tips when sending your case to a trusted ceramist. As a lab, we may seem removed from an understanding of the importance of dentist-patient relationships. In reality, we recognize how crucial a timely delivery of dental products can be to developing trust with patients. 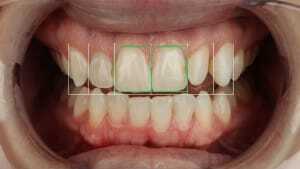 Preschedule your smile design cases so that the lab can ensure a precise delivery of the case. A hectic day at the practice can be much less stressful when changes don’t need to be made to a patient’s appointment because of an uncertain delivery. We’re all about streamlining the process that gets your case to and from the lab. To maximize efficiency, we’ve eliminated the need for discs, DVDs, or memory cards. Simply upload photos of any size/dimensions with our automatic upload feature on the Client Support page. High quality photos are integral to a successful lab result. With your case photos stored all in one place on our online database, the lab team will have easy and dependable access. For Empress, Authentic – Use at least 0.6 mm prep reduction with a chamfer or shoulder margin. For e.Max press, Lava, PFMs – Use 1.5 mm of prep reduction. We always highly recommend shoulder or chamfer margins in all types of prep. This guarantees the integrity of the materials. At Gold Dust, we emphasize the importance of never cutting corners at any point in the process of receiving a completed case from the dental lab. For more advice on working with the lab, read Dr. Lee Ann Brady’s post on creating aesthetic implant success with custom impression copings. One Response to "Go-To Dental Lab Tips: From Photos to Prep"